Gina Rinehart Richest Woman - Australia’s richest person Gina Rinehart has eclipsed Wal-Mart heiress Christy Walton to become the world’s wealthiest woman, Gina Rinehart Richest Woman, according to an annual index by Business Review Weekly. A preview of the respected BRW Rich 200 list, published Wednesday, put the mining tycoon’s personal fortune at Aus$29.17 billion (US$28.48 billion), a figure that sees her outstrip Walton for the first time. BRW rich list editor Andrew Heathcote said mining magnate Rinehart had almost tripled her wealth in 12 months as commodity prices rose and she pulled off two deals in iron ore and coal. “The Aus$18.87 billion increase in her wealth is unparalleled. It is a product of foreign investment in new projects, increased production and a recovery in the iron ore price over the past six months,” said Heathcote. 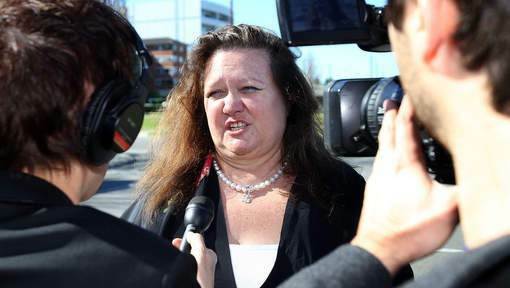 Rinehart, 58, heiress to an iron ore prospecting empire built in Australia’s resources-rich west, is a controversial figure who stridently campaigned against new mining taxes and recently bought up big in the media sector. She is also locked in a series of lawsuits, including an acrimonious row with her own children over a family trust where she has been accused of threatening to financially ruin them. Heathcote said Rinehart was on track to overtake Mexican telecommunications tycoon Carlos Slim — worth US$69 billion — as the world’s richest person as demand ramps up for Australia’s natural resources. “A $100 billion fortune is not out of the question for Rinehart if the resources boom continues unabated,” said Heathcote. The full BRW list of Australia’s richest people, the upper rungs of which are usually dominated by mining tycoons, will be unveiled on Thursday.